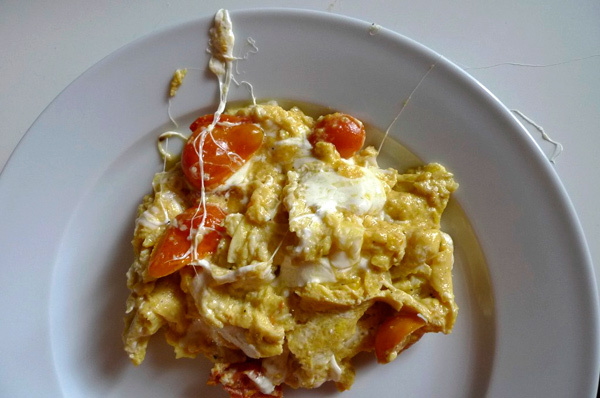 This is my own recipe, an eggy breakfast take on the classic Caprese Salad – Caprese Eggs. I first fried the grape tomatoes, sliced in half, in a tablespoon of butter, salt and pepper, and a couple splashes of balsamic. 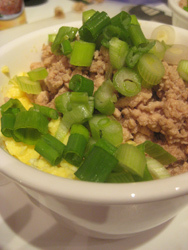 Once they broke down a little, I added four scrambled eggs, cooking slowly on low heat. 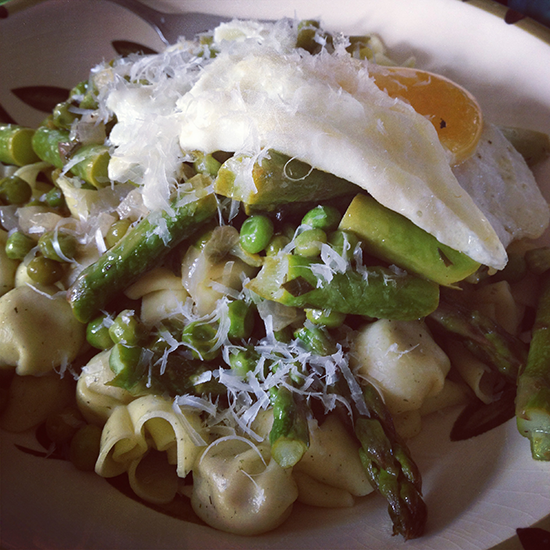 Last I added a thick slice of mozzarella chopped up and cooked until it was melted and the eggs were set. Next time, some basil would be a nice addition. I know, you think a scrambled egg is a scrambled egg, is a scrambled egg, but Paula Deen’s adorably labeled Lady’s Perfect Scrambled Eggs, are in fact, perfect. 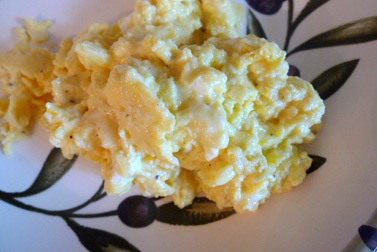 Sour cream may seem like an unlikely missing key ingredient, but trust me, I’ll never make scrambled eggs any other way again. Spend a Couple Minutes »Nyokki! This little guy, purchased on a whim at Sprout, is downright adorable. Called Nyokki! 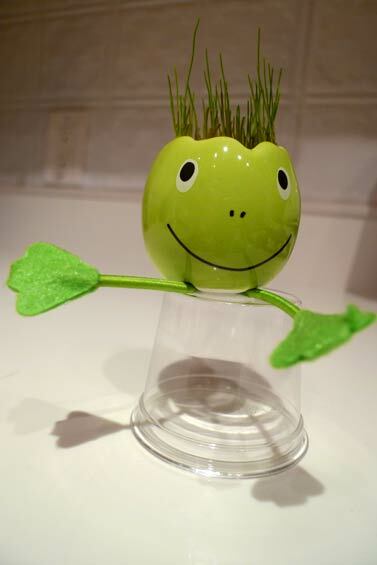 (which means “grow!” in Japanese) he sprouts green “hair” that you can style or cut. The shop only had the froggie, but the company also makes a rabbit, a cat, monkey, duck, and bear as well as special holiday ones like a skeleton, black cat, jack-o-lantern and snowman. Too cute! Want to throw a brunch party right? 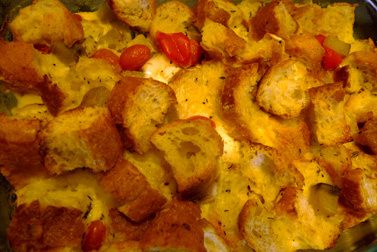 Start with one or both of these crowd pleasing egg and bread dishes. 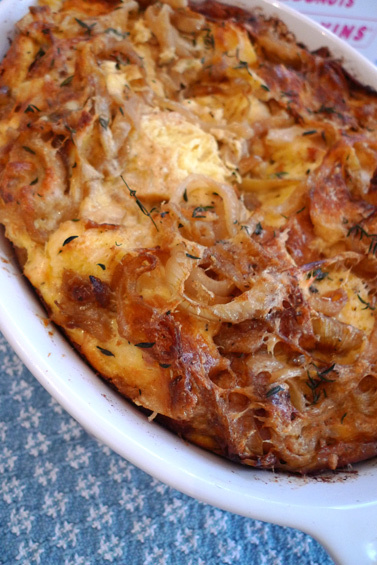 My friend Lindsay served this delicious Ham and Cheese Breakfast Casserole at a recent birthday brunch while I served this Brie and Egg Strata (successfully substituting french bread for ciabatta). Late morning perfection, both. If you ever need to make a quick meal of cheap ingredients that's sure to give you left overs, this hearty Japanese Rice Bowl is for you. Found on?the Unconfidental Cook, it's a healthy and tasty dish, but one that Jim and I, who boast pretty hefty appetites, could only finish a portion of.